Why Should I Volunteer at a Runaway Hotline? I don’t have a lot of time. How can I possibly make a difference? April is National Volunteer Appreciation Month, as well as Community Service Month, the time of the year to honor those that sacrifice their time and share their energy within National Runaway Safeline’s (NRS) crisis services center. But this is also a time to let others know the value of volunteering. Giving back to the community can be a powerful experience for those participating and there are plenty of opportunities to do so in several organizations. 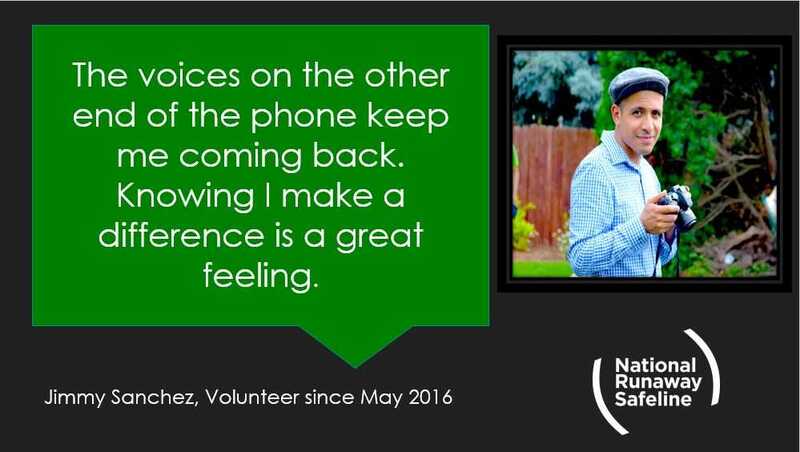 NRS is always in need of passionate volunteers to operate crisis services. So why volunteer at a runaway hotline? 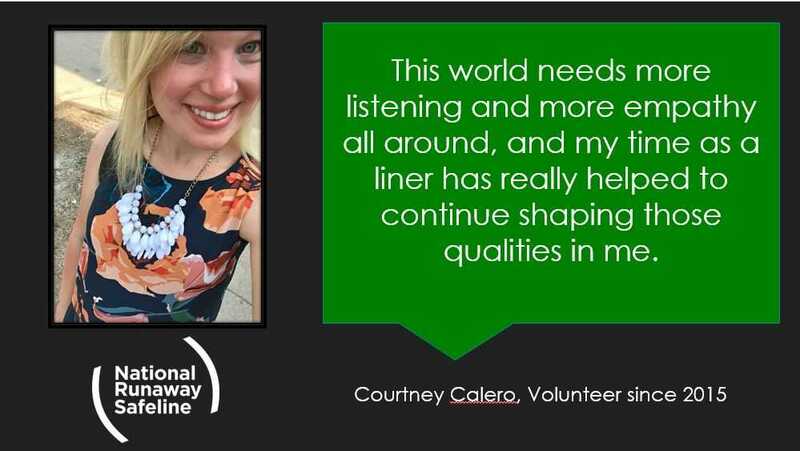 Several NRS volunteers were asked why they choose to donate their time and effort to NRS, and here is what they said. 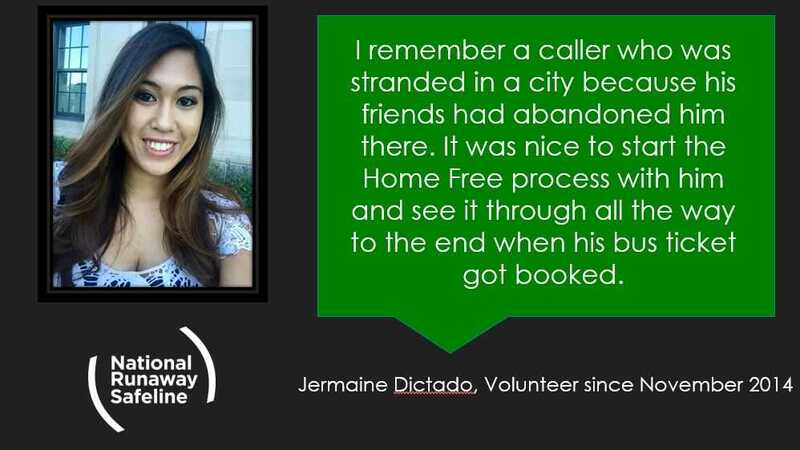 Here are just a few of the reasons why these special people volunteer at a runaway hotline. These are great reasons. Want to know more about volunteering? Volunteering at NRS involves receiving specialized crisis intervention training using NRS’ 5-step model as the basis for training. Volunteers are introduced to the NRS non-directive experiential training in the classroom. Once training is completed, volunteers start taking calls, emails and live chats from youth and parents from across America. The crisis service supervisors are available to support volunteers through difficult calls, chats, emails and forum postings. Or sign up for one of the live volunteer orientations at any time. Don’t have the time to devote to training and volunteering? Consider becoming a monthly donor.